Jon Raymond is the incredibly adroit screenwriter behind Kelly Reichardt’s Wendy and Lucy, Old Joy, Meek’s Cutoff and the award winning tv miniseries Mildred Pierce. 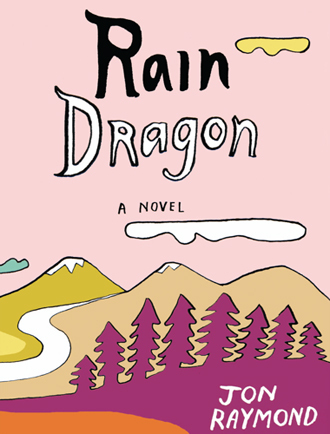 He’s also an author, and his latest novel Rain Dragon is reviewed here by filmmaker Donal Mosher (whose latest Off Label debuts at the Tribeca Film Festival tonight…review on that soon!). The two also sit down for a chat about the differences between script and prose writing and a heap of other tasty, sage stuff. A party-line game of telephone in which each voice is distinct, The Air We Breathe grew by accretion into a conversation that stepped off the page into an exhibition at SFMOMA, running November 5, 2011 through February 20, 2012. Photographer and filmmaker Donal Mosher enters the pages of the formative text/collage on marriage equality from the mind of editor Apsara DiQuinzio and takes a look at what is on display, and what is at stake. 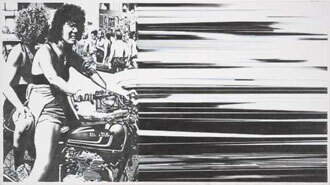 The public and the private forms of exhibition and exchange are on the table. Dennis Cooper has been exploring new narratives through novels, poetry and theater for decades now. A diamond tipped, pyscho-sexual bodynaut, he can be counted as perhaps the furthest notch along the spectrum of the historically adventurous – black cat side of – Grove Press that has included authors such as Jean Genet, William Burroughs, and the Marquis De Sade. 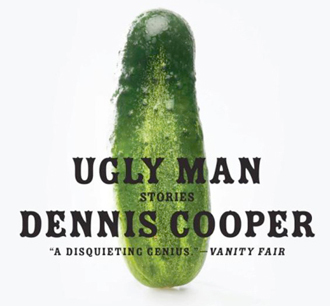 Now with his first collection of stories on the major press Harper Perennial, Ugly Man, Cooper is not pulling any punches for a broader audience. San Francisco based filmmaker and writer Donal Mosher reviews.